Posted in: Scenery, Waterfalls. 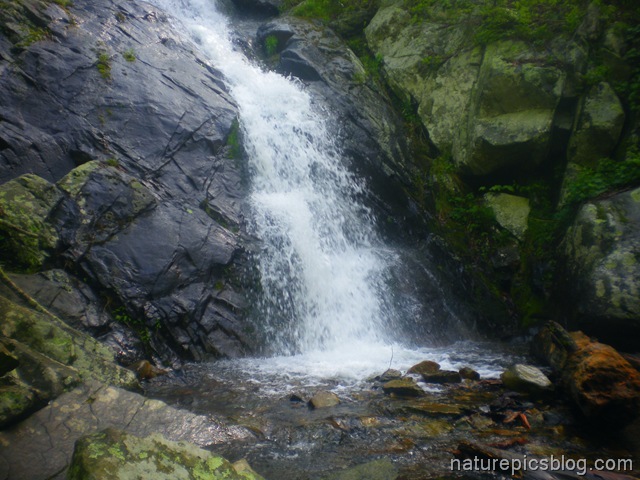 Tagged: blue ridge parkway, Nature, photo, Photography, scenery, waterfalls. This is the last photo I’m posting of our vacation at the Blue Ridge Parkway. It will feature one of the beautiful waterfalls we saw during our trip. I enjoyed all of our trip on the Parkway, and I hope we will be able to return in the future. Posted in: Scenery, Waterfalls. Tagged: echo system, gorgeous, hike, Nature, outdoors, photo, Photography, picture, roaring water, rocks, scenery, stream, water, waterfall. It was a hard hike to and from this waterfall. Rocks were strewn everywhere on the trail. In some places it was very muddy. But it was worth it. The waterfall at the bottom was gorgeous. I captured the water roaring down before we began making our way back again. Posted in: Mountains, Scenery. Tagged: Appalachian Mountains, blue ridge parkway, photo, Photography, picture, scenery, Smokey Mountains, stunning, view. This is one of the many stunning views we enjoyed during our trip to the Blue Ridge Parkway this May. The clouds surrounding the mountains in this picture make them look smokey!